While the drive-in movie theater may seem like a relic from days gone by, there are still a few vintage theaters standing (and one new one) in North Carolina. Over the years, the state was home to over 200 drive-in theaters; that number has dwindled down to just five, but they are still going strong pulling in big crowds. These drive-in theaters show first-run films in small towns across the state and some have become tourist attractions drawing people from across the U.S. for that nostalgic experience. People drive from near and far to experience a movie at this historic drive-in in Albemarle. Originally opened in 1948, and after years of being dark, it was revived in 1994. With one admission ticket, you have your choice of two screens, both showing newly released films year-round. With double and triple features, fun games, free WiFi access, and a playground, a night at the Badin Road Drive-In is one you and your family will never forget. Adult admission is $7 per person while children 6 to 11 are charged $5; under five years of age is free. It is cash only and there is an ATM on the premises. The theater's capacity is 700 cars. 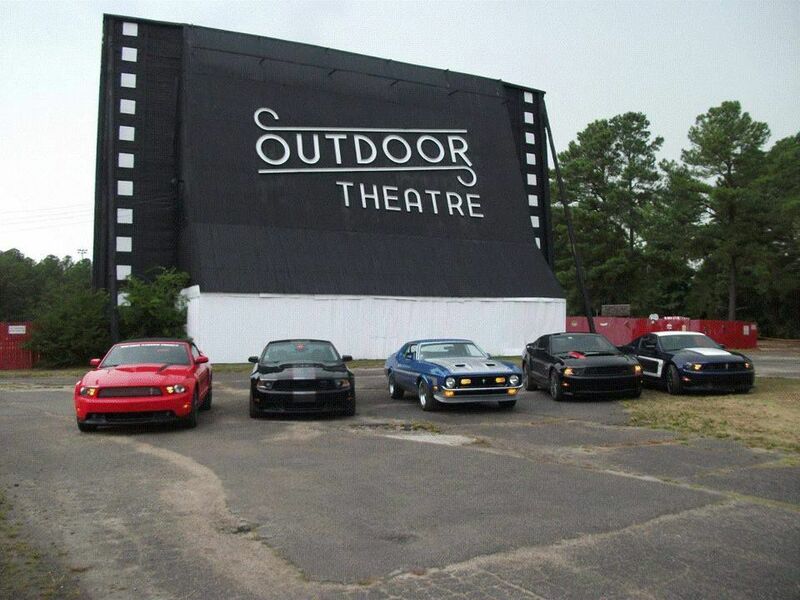 Boasting the largest movie screen in Rockingham County, this drive-in is another survivor of the hundreds once gracing the state of NC. Whether it be a romantic movie-night under the stars or a nostalgic trip for the entire family, a night at the Eden Drive-In is something special. Adult Admission is $7 while children 6 to 11 are $5; under five years of age is free. Double and triple features are often scheduled. Current owners, Mark and Jennifer Frank, are committed to carrying on tradition while providing good valued, quality entertainment for the whole family. Watch new releases while enjoying food from the concession stand. Tickets are also available from their website and are $8 for adults and $5 for children 3 to 11; children under three years of age are free. Check website for hours as they change with the seasons. The three generations of the Sunset Drive-In come from a long line of drive-in movie theater owners—the Stinnett family operated the City Kings Mountain Drive-In Theater from 1949 to 2014​ and bought this outdoor theater in 1984. Showing double features of new movies on a single screen, the Sunset Drive-In is the best bargain in town, charging just $12 a car (that's per car, not per person!). Check the website for when the season begins and ends as they are not open year-round. In response to the City Kings Mountain Drive-In closing, the owners of the nearby Hounds campground saw the need to open a new outdoor theater—and new it is, having been built from the ground up utilizing current theater technology such as high definition. The Hounds Drive-In is open seasonally and features timely movies, such as classic horror films in October. It is cash only and doesn't permit outside food so make sure to bring plenty of money. Admission price is $15 per ​carload.